Price fact: The price is 120,00 £ lower than last week. Price fact: The price is 103.01 £ lower than the average over the last 10 weeks. Price fact: The price is 120 £ lower than last week. 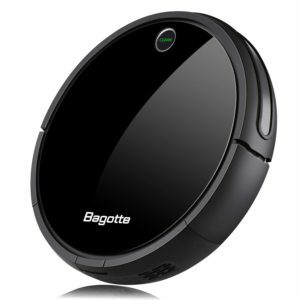 The Dyson 360 Eye is an advanced robotic vacuum cleaner with twice the suction of any other model currency available. 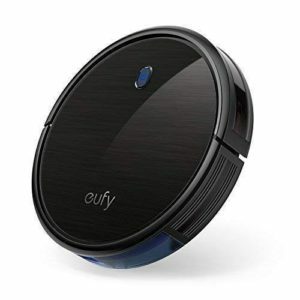 This unit features Dyson’s powerful V2 digital motor for superior cleaning performance, which allows for more powerful suction and faster speed than the competition. Other features include panoramic vision for a calculated cleaning pattern, Dyson Link App control, a bagless design, a full-width brush bar, and a 0.33-litre bin. The Dyson 360 Eye vacuum cleaner features a powerful lithium-ion battery that is capable of working up to 45 minutes on one charge. 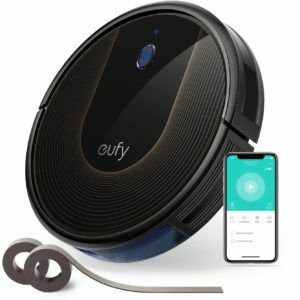 While this is much less than other robot vacuum cleaners, the powerful suction does come at a cost. Charging the Dyson Eye is also quick, however, with just one hour needed to achieve a full charge. The Dyson 360 Eye features a number of powerful and innovative functions, including 360 Eye technology that allows the vacuum to see where it has cleaned and where it has not. 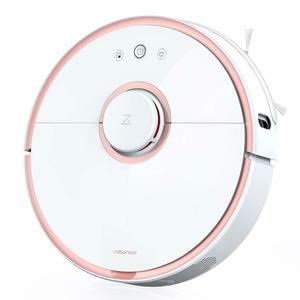 This awareness is combined with the most powerful motor in the market, with the V2 digital motor delivering superior cleaning performance in a neat and compact package. 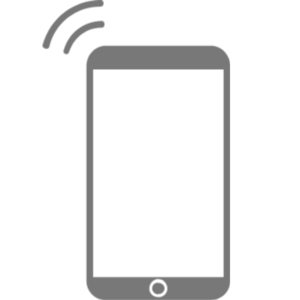 With the 360 Eye, you can schedule cleaning time from your smartphone with the Dyson Link App. The Dyson 360 Eye is a very light vacuum at 2.42kg, with product dimensions being 23 x 24 x 12cm. This unit is available in blue and nickel and made with high-quality Dyson components. While the 360 Eye is less wide than most other models, it’s also taller at almost 13cm, which means it’s not ideal for cleaning under some furniture. 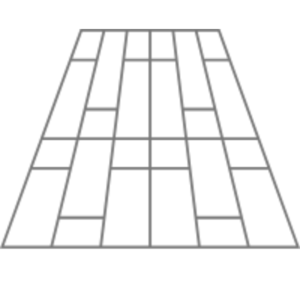 The 360 Eye follows a squared-off spiral pattern, to ensure it goes over each spot on your floor at least once. 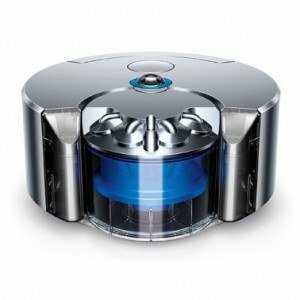 Read more about Dyson 360 Eye Robot Vacuum Cleaner her.